I’m just going to come right out and say it. I saw a completely black woolly bear. Now, I know all about woolly bear folklore… the whole 13 segments, one for each week of winter (OK, well, that’s just hogwash – around here we definitely have more than 13 weeks of winter! ), and how a lot of black at the front means early winter will be harsh, and a lot of black toward the hindquarters means the end of winter will be harsh (and if you don’t know which end is which, well, you’re just going to have to figure that one out on your own :)), and generally you want a nice wide band of brown because the brown means mild. So I’m thinking an all black woolly bear is either a true pessimist, or is having a Halloween trick on us a bit late (or just hasn’t changed out of his Dementor costume yet), or really likes dark chocolate and is campaigning for world wide recognition of a National Dark Chocolate Rules Day. Now that I’ve come up with a very clever way to sneak in a picture of a woolly bear because I think they’re really cute AND we’re all on the same page about how we will most certainly not be having a Little House In The Big Woods type of winter, let’s warm up with something Short & Sweet, shall we? 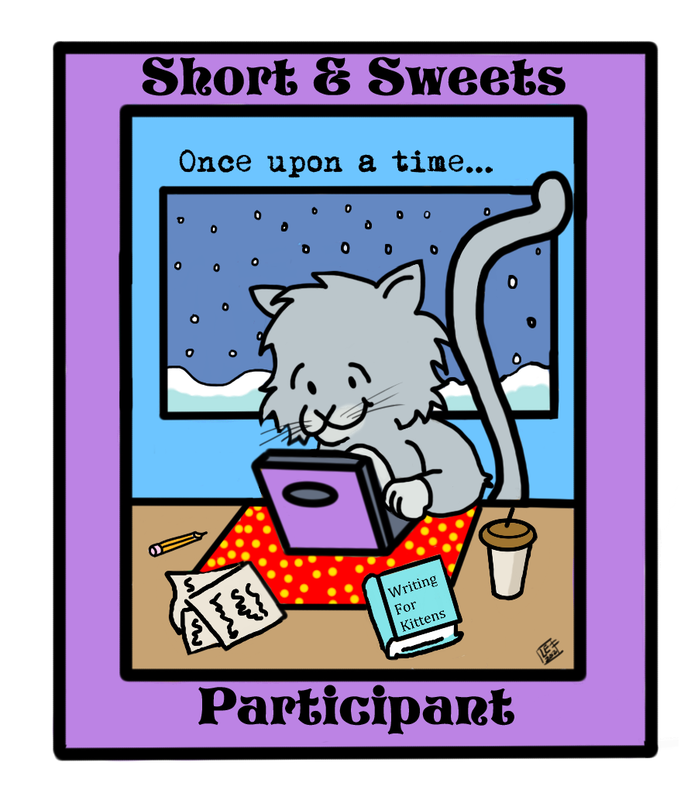 Remember (because it’s been a couple weeks and you might have forgotten) – Short & Sweets are meant to be fun and quick. No agonizing! Just write! Pick a holiday, any holiday. Write down the name of your holiday. Then write down the name of the holiday one last time. You just wrote a holiday poem! So, are you ready? Get set… WRITE!!! Please share your holiday poem in the comments so we can all admire them and become inspired for a whole week of great writing! I can’t wait to read your Holiday poems! I hope someone picks Race Your Mouse Day (May 28th)! Perfect Picture Book Friday – Marathon Mouse AND Giveaway Winner AND Hallloweensie Contest Winner!!! Okay, Susanna, I'm stretching myself right out of my comfort zone. Thanks for pushing me. I have chosen “Look up at the Sky Day” April 14. And I am actually sharing two! Thank you for this short and sweet. It inspired some poems that touched me deeply and brought me to tears. Those are more “adult” poems – dealing with death and love, so I will not share. Here are my more mild ones. Droplets of dew moisten my face, dampen my clothes, and chill my bones. Fumbling fingers find the soft spots on old veggies quite diverse. Ice-maker grinds to warn me that the freezer side just might be worse. Thanks, Susanna. I look forward to someday seeing the picture book my poem inspired. Look Up At The Sky Day – what a nice holiday to share your birthday with. My walking stick steadies each muddy step. Groundhog feet patter back to their den. I smell Grandma adding more logs to the fire. Oh, this sounds so lovely and restful, Pat! Especially after crazy yesterday! 🙂 Thanks for sharing! Better late than never…my creativity is waning this month!